Every week i will always summarise Manchester United, as they are my team. Firstly Sam Johnstone the young keeper has made a loan move to Aston villa, which won’t effect the first team in anyway as he is far down the pecking order. However one move that could be scary is the rumour that Real Madrid are set to bid for De Gea, this would kill me and all the fans as David is the best keeper in the world and Real Madrid don’t deserve him. If anything we should take bale, or mortars plus 20 million at least for him, however only English newspapers have made this rumour, and nothing has been said from Spain. Ivan Perisic has apparently agreed to go to Manchester United for 52 million, in 28 appearances for Inter Milan Perisic scored 11 and assisted 6, which Is great, however Perisic is 28 and this could effect Martial chances of becoming a world class player, Martial deserves more time. Thank God Januzaj has finally moved, for 5 million to real sociadad, good luck with him, you will need it! Phil Jones is also rumoured to go to West broom, which I would also like. There has been rumours that her era will renew his contract, hopefully this is true. The matic rumours look like there over thankfully after he is reportedly going to sign for Juventus, I am hoping this happens so we can make a move for a young, fast DM. Onto defensive midfielders, bakayoko wants to leave Monaco and it was rumoured earlier this week Manchester United want him, however we have later announced we don’t. It is rumoured we want Eric dier, but spurs won’t 60 million and no chance he’s worth that. Fabhino wants to move to us, and he’s world class, so why don’t we sign him. Young Joel perirea earlier this week signed a contract extension, he has a great potential and we need to give him game time. 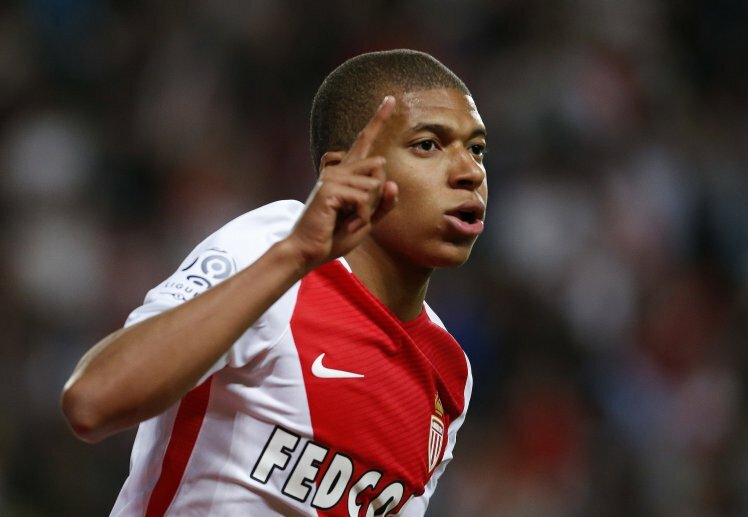 Mbappe has announced he may leave Monaco and Jose has admitted he is obsessed with him and if we signed him, the fans would be in heaven, however real Madrid are also in the race to sign this young talent up. Finally Thomas Muller was linked to us, but this is not happening. The main rip off this week is fullback Kyle walker to man city for 54 million, what are they doing with themselves. Arnautovic announced earlier this week he wanted out of stoke and has joined west ham, west ham seem to be gathering a strong team. Spurs are looking to strengthing there bench after placing a bid for Benjamin Henrichs from Bayer leverkusen. Stoke could be signing a future superstar at the back if the press is right that the are wanting to swoop for Kurt Zouma. Loftus cheek has made a loan to stoke, he should just make a permanent move away from Chelsea, the young sensation will be given no chance. Another piece of rubbish from this week is Aubamayang to Chelsea for 100 million, there is no chance they are getting the clinical, fast striker. Inter Milans midfielder every year is rumoured To move and this week he has been rumoured to move to west ham or arsenal, whoever he was to go to, he would strengthen the team, however I don’t believe this will happen. Jack Wilshire one of the most injury prone midfielders in the world has been rumoured that Italian side sampodoria, and west ham this week, oh what a player he could of been. Joe hair is also rumoured to sign for west ham, I have really missed him in the premier league. Remember aiden mcgeady was the Irish ( or Scottish) Ronaldo, he has moved to sunderland, they are really going downhill. Roma are hoping to strengthen their wings after losing Sarah by making a move for man city’s nadir, who is a traitor and a reject, and one season wondered Mahrez, however I think he still has it in him. Giroud is rumoured to be linked to Dortmund, I don’t think he will leave but I think he should stay and he deserves a game, he is underrated. Rudiger has moved from Roma to Chelsea for 30 million, this could leave conflicts as they have many first team worthy centre halves. Lastly glik is rumoured to go to spurs, again from Monaco, this would really strengthen there defence. Juventus are interested in Toni kroos from Real Madrid, however this won’t happen as Florentino Perez is impossible to deal with. The naingola rumours have continued this week, but let’s be honest he is staying in Rome. One amazing signing this week is in my opinion the best centre half in the world, Bonnuci joined Ac Milan, are Ac Milan back on track? I have already stated this but matic is rumoured to go Juventus, boring. Seemed has signed for Barcelona, which I feel won’t improve barca in any way, and Deulofea has returned to Barcelona after a good loan spell.